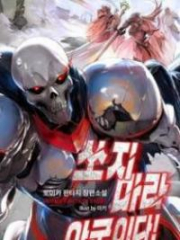 You’re reading novel Legend of the Great Saint Volume 1 Chapter 3 online at LightNovelFree.com. Please use the follow button to get notification about the latest chapter next time when you visit LightNovelFree.com. Use F11 button to read novel in full-screen(PC only). Drop by anytime you want to read free – fast – latest novel. It’s great if you could leave a comment, share your opinion about the new chapters, new novel with others on the internet. We’ll do our best to bring you the finest, latest novel everyday. Enjoy! Li Qingshan contentedly lay on the pile of hay, stretched his four limbs, and unconsciously pa.s.sed out into sleep. This night, he didn’t dream of his past life. In the house not far away from the bullpen, Big Wife Li tossed back and forth on her bed, tormented by the smell of meat and unable to fall asleep until well into the night. The next morning, shortly after the roosters’ three crows, a short fatty wearing emerald green silk garments came to the farm. He was none other than the greatest landowner of this tiny Crouching Bull Village, master Liu. He was the one Big Wife Li called Steward Liu, because he was once a steward in a great house back in the city. Now he became a minister of the main family, and returned to his home village covered in glory. But he still insisted people call him Steward Liu, to highlight his different status from those peasants, and to distinguish him from the ordinary country b.u.mpkin landowners. Because he had already annexed more than half of the village’s land by various means, he also had the nickname "Half Village Liu ." If you had to say what kind of ambition Half Village Liu had, then it was naturally to become Full Village Liu, but this couldn’t be rushed. To borrow the words of those sirs from the city, slow and steady won the race. He was confident he could realize his wish during his lifetime, and by that time everyone in the village would be his hired workers. He would be the emperor of this Crouching Bull Village and whatever he wanted would be. But Steward Liu was a little unhappy right now. Not many workers were working on his residence. He waved a fat hand: "Only those few people? Where are the rest?" A hired hand said with a smiling face: "Steward Liu, they all went to help build a house for Li the Second." "Li the Second? Which Li the Second?" "This daddy naturally knows, where did he get the money?" "That kid’s a lucky b.a.s.t.a.r.d and picked up a great wild boar, anyone in the village who agrees to help him build the house will get a big chunk of boar meat. It’s at the foot of the Crouching Bull Hill, it’s bustling right now." "I fell out with him." The worker said a little embarra.s.sed, his heart extremely sad. This was meat, meat! How could he afford to eat it in ordinary times? Steward Liu pinched his brow and said: "Go, let’s see what’s going on." As soon as he had woken up, Li Qingshan began planning about the matter of separating from his family. The top priority was to build a decent house for himself. He couldn’t rely on someone else’s charity. He didn’t have the capacity before, but with this fat boar many things were easily solved. With a little greeting many people came to help. It could be said that he finally experienced the magic of pig meat in this world. Under the Crouching Bull Hill, willow trees offered shade and flowers were bright; the scenery was beautiful. Put in his previous world, this kind of place would be a tourist attraction or a wealthy man’s mansion, when would it be his turn to occupy it? Moreover this place was away from the village and it was easier to conceal his secrets. He could be at ease when he communicated with the green bull. Li Qingshan was standing in the crowd and giving commands back and forth, an unspeakable pleasure in his heart. He understood a little the hidden meaning when the green bull said to eat meat. It wasn’t only to strengthen his body. Someone with no food nor clothes had to run hither and fro like a headless chicken to eat his full, where would he have the focus to do other things? To say nothing about what comprehending his own heart. Steward Liu stood in the distance and swept his glance around, mumbling to himself: "So this means them brothers are going to separate." But he happened to see Big Wife Li also watching in the distance, not only not happy to see her family’s brother emanc.i.p.ating to his own house but gnas.h.i.+ng her teeth in rage instead. A scheme hatched in his mind and he went forward with a smile. Not much more than ten days later, a new house was built and many people received boar meat as they dispersed. Li Qingshan watched his new residence with satisfaction as he stood in the small courtyard. Although it was only an ordinary house made of mud bricks and a thatched roof, this still was his new home. It was the first step he took in this world to settle down and pursue his ambitions. Those few days he’d continued to eat meat and his face had regained its rosiness. Standing there he also looked more confident. Although it was only a dozen days of work, his body had grown a few inches out of nowhere. 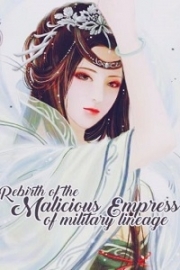 Right when Li Qingshan was being happy, an old woman with white hair and coa.r.s.e skin paced into the courtyard, appearing to jump in fright: "Li the Second, this house of yours is built wrong, it’s very ominous!" Li Qingshan frowned. This was the witch who force-fed him blessed water when he was a child. She acted mystical all day long and scammed people, fooling those ignorant villagers. He didn’t have any goodwill toward her, but her prestige was high in the village. Any funeral or marriage in the village would invite her to cast a divination, and of course her divinations naturally required offerings to the G.o.ds. Li Qingshan also didn’t dare slighting her, and paid her a ceremonial greeting: "Why did your honored self come?" The witch didn’t even look at him and glanced left right in the house: "There’s a shady air here, there’s evil spirits, fortunately I was ready." She held a jar in one hand and a willow twig in the other. She dipped the willow twig in the water inside the jar, and randomly sprinkled it inside the house and in the yard while shouting chaotically: "Quickly go away, quickly go away…"
Li Qingshan couldn’t block her and could only allow her nonsense. Although he already believed in ghosts and G.o.ds now, by no mean he believed there was what gloomy air evil spirit inside. He had a bona fide evil spirit following at his side, and if there was really something wrong the green bull would naturally tell him, when would it be her turn? After the witch sprinkled her water, she acted like she gave some big help to Li Qingshan and rambled on and on, what Li Qingshan’s luck was entirely bestowed by the G.o.ds, so now was the time to pay the G.o.ds back. The best offering to the G.o.ds was naturally the wild boar. Li Qingshan finally understood why she came and said: "I’m afraid it’s not the G.o.ds who want to eat it, but it’s you who want to eat it, right?" Facing Li Qingshan’s small disrespect, the witch went into a great anger. She stood upright and used another kind of voice to say: "Li Qingshan, if you don’t listen to this G.o.d’s advice, you’ll face disaster." Li Qingshan knew this was her divine possession trick. Usually when villagers saw it, even those with big guts were scared witless. They would kneel down and prostrate themselves. Even the original Li Qingshan didn’t dare to completely ignore it, but now was different from the past. He crossed his arms like he was watching a comedy: "There’s no door to luck or misfortune, man brings them upon himself. What relation does it have with G.o.ds? Your honored self please leave!" The witch saw that this trick unexpectedly had no effect, and awkwardly restored her former appearance, saying in a sinister tone: "You just wait!" Not long after the witch left, disaster really came. A villager invited Li Qingshan to go to the ancestral hall. Although the village was small, the rules were many. The matter of him separating from his brother ought to require his attendance in the ancestral hall, and make a clear separation in front of the village elders. But it should have been at his request, did his brother go ahead first? Li Qingshan faintly felt uneasy. The green bull had gone off who knew where, so he had to bite the bullet. The so-called ancestral hall was merely a small house with a deep archway, but it was one of the rare stone buildings in the village, and the inside was consecrated to the memorial tablets of the ancestors of the Li and Liu clans. Inside the pitch-black room, several old people were separated on the left and right sides. The one acting as the leader was the village chief of the Crouching Bull Village, his age over sixty, his body crooked to an unsightly degree. He was also from the Li clan and according to seniority Li Qingshan even had to call him grandfather. Big Wife Li was already waiting inside and she fiercely glared at Li Qingshan when she saw him, like Li Qingshan somehow harmed them. She faintly carried an expression of taking pleasure in revenge. Li Qingshan paid her no heed and offered a ceremonial greeting to the elders, then under the presiding of the village chief he started the ceremony to separate from his family. Li Qingshan originally thought the only thing he had was the green bull and a few mus of farmland, so he didn’t expect that reality was much more complicated than he’d imagined. The village chief’s face looked stern and fair as he distributed random items to Li Qingyan, meticulous to the point of attributing him a spoon or a pair of chopsticks. Every time he mentioned something, Big Wife Li twitched painfully, and her vision became more vicious whenever it fell Li Qingshan. Li Qingshan remained unmoved, his face calm and collected. Those random living items were all useful, sparing him the effort of purchasing them again. The village chief only stopped after the distribution had gone on for over an hour. He glanced left and right with his muddy eyes: "Do you have anything you don’t agree with?" Even big sister-in-law Li was convinced, but Li Qingshan felt something was wrong: "Grandfather, what about the farmland?" Li Qingshan was stunned. Back when his parents pa.s.sed away, they made things very clear in front of this very man. They were precisely afraid his elder brother would bully him, so they wanted this person of high prestige in the village to establish fairness. Big Wife Li already said things in the open: "You’re small and ignorant of some matters, those two old things didn’t payback the silver they borrowed, and the land has long been given as compensation." Li Qingshan was greatly agitated and furious: "What did you call my parents, say it again?" Although he didn’t have very deep feelings for them, they still were his parents in this world, how could he tolerate someone wantonly insulting them in front of the crowd? Big Brother Li put his body in front of Big Wife Li. Several burly men also came in from outside the ancestral hall, obviously well prepared in advance. Li Qingshan noticed that those people were all scoundrels of the village. Usually they went around stealing chickens and dogs, oppressing the people. They wouldn’t care about friendly sentiments between people of the same village and wouldn’t show any mercy when they acted. The village chief silently cursed "stupid wench" and sighed: "I’ve already examined the contract." Big Brother Li said: "We already burned it when we took it back." "Who was the one owed money?" Big Wife Li proudly said: "The village’s Steward Liu, if you dare just go find him, let’s see if Steward Liu won’t peel off your skin. This old mother is precisely bullying you little ungrateful b.a.s.t.a.r.d, what about it?" That farmland was all fertile fields, and they sold for a lot of silver, so it could count as compensation for not being able to eat the boar meat. She decided to buy a chicken and eat it as soon as she went home. Li Qingshan was furious to the point he was trembling all over, and his fingernails stabbed into his palms. With his experience from two worlds, how could he not know the inside story? Farmers regarded their soil as their lifeblood, how could they casually it give to others as compensation? His parents had also spent a lifetime in the fields, how could they borrow silver? They clearly banded together to bully him. Without the land, if he wanted to keep eating and survive, he could only go to Steward Liu’s residence and become a hired hand, so even if he had a sky-vast anger he still had to repress it. It was really a good plan. Li Qingshan was treated coldly at home by his brother and sister-in-law, but it was at most eating and dressing badly. He could accept it, but how was it inverting black and white like this? In his former life he had gone through the internet and believed that he had seen the darkest shades of society. He had even joined in the indignant cursing. But only now he realized how difficult it was to bear when this kind of things fell over his own head. If he complied he would have no more chance to appeal, even if he was only obeying the village’s arrangement. 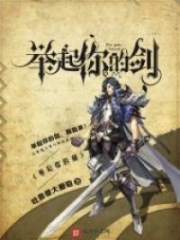 You're reading novel Legend of the Great Saint Volume 1 Chapter 3 online at LightNovelFree.com. You can use the follow function to bookmark your favorite novel ( Only for registered users ). If you find any errors ( broken links, can't load photos, etc.. ), Please let us know so we can fix it as soon as possible. And when you start a conversation or debate about a certain topic with other people, please do not offend them just because you don't like their opinions. You're reading Legend of the Great Saint Volume 1 Chapter 3. This novel has been translated by Updating. Author: Dream Teller, 说梦者 already has 3552 views. Current Time is Apr-18-2019 12:32:05 PM.